For every nook, cranny, trigger and bolt. They say the devil is in the details. And that devil is fouling. 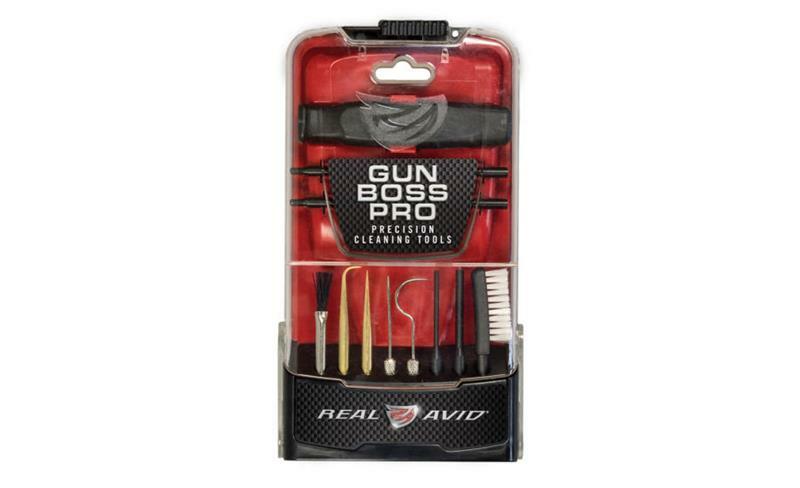 Gun Boss Pro Precision Cleaning Tools are perfect for the thorough gun owner. 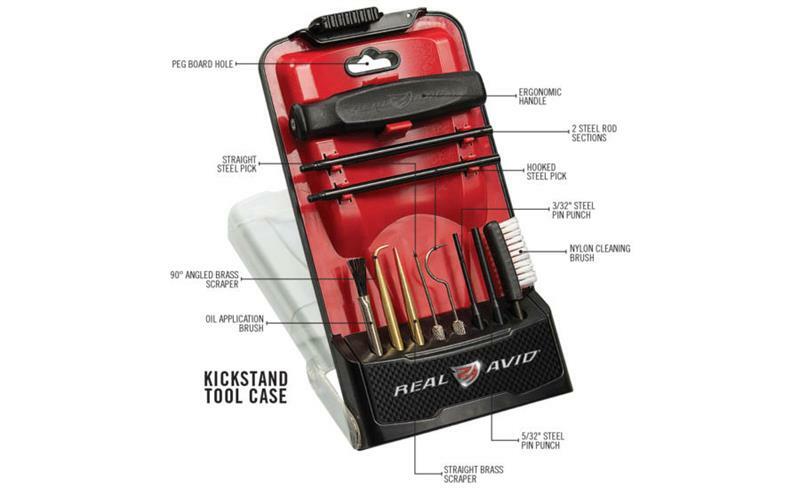 A sturdy, patent-pending kickstand case puts the well-organized tools at your fingertips to detail any gun platform. 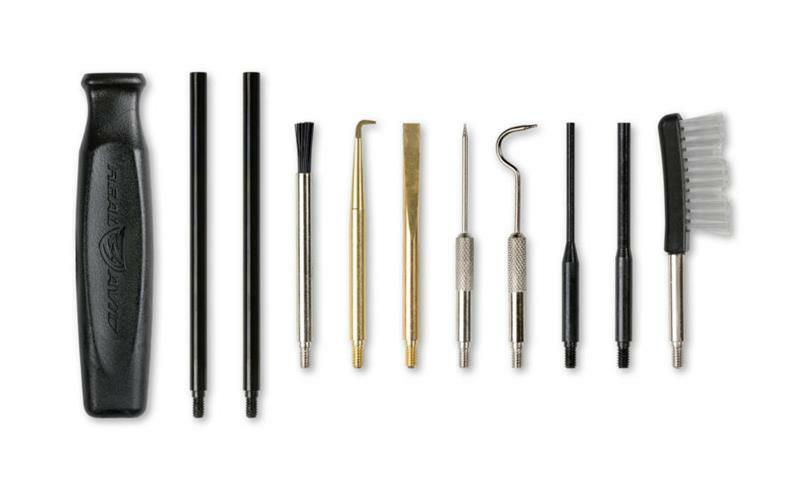 The ergonomic handle and extension rods help keep tools steady when focused on intricate working parts that traditional cleaning kits can’t reach. Might even help get that piece of jerky out of your bicuspids. 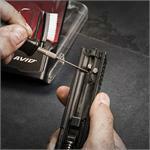 Includes the precision tools you need to detail any firearm from handgun to shotgun and beyond. 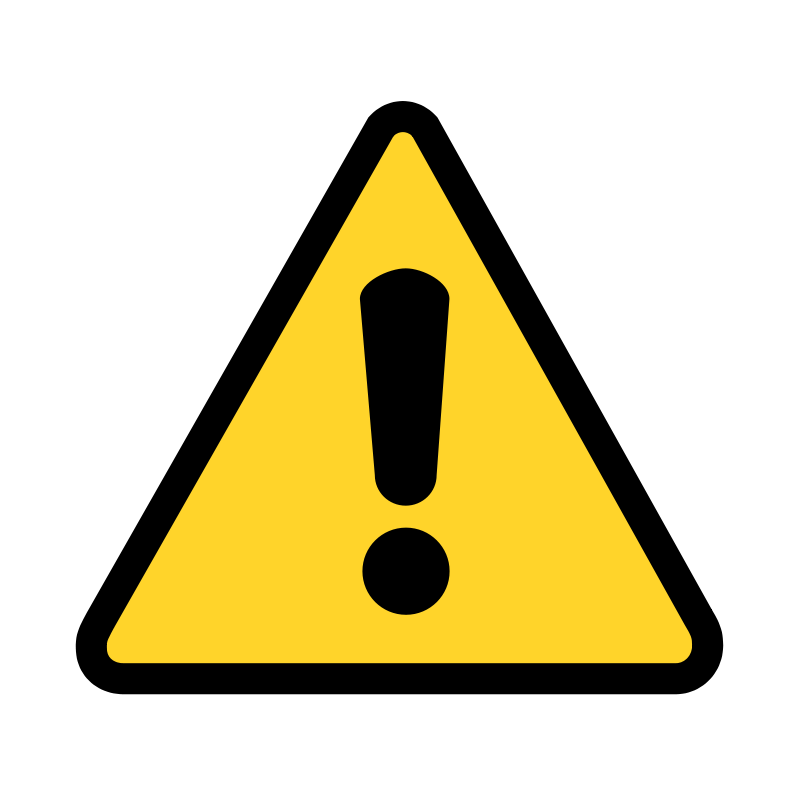 Straight and hooked steel picks reach difficult corners. 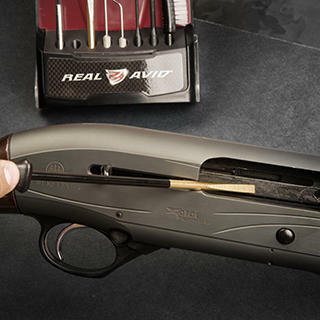 Brass 90° angled and straight scrapers protect firearms. Stiff nylon bristles for cleaning brush remove stubborn grime. 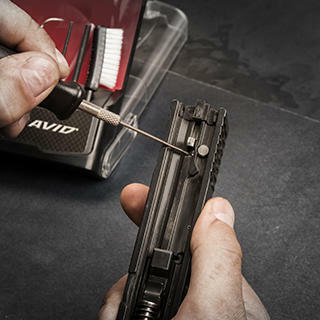 Oil application brush reaches difficult to lubricate corners. Steel pin punches at 3/32" and 5/32" fit most common sized pins. 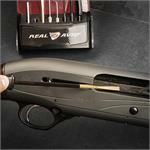 The ergonomic handle fills your hand with a solid grip for precision work, and the 2-piece rod offers ample extended reach to all recessed gunk and grime.